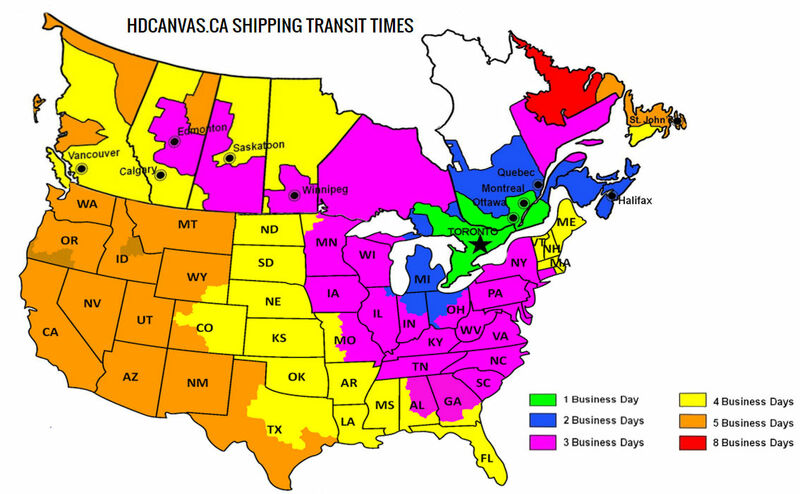 HDCanvas.ca ships to anywhere in Canada using United Parcel Service (UPS), sometimes by Canada Post. If you’d like to have an order shipped to the USA, our flat fee of $12.50 applies to product up to 20″ x 30″, for larger sizes contact us to request a quote. We offer free shipping on all orders over $100 before taxes (Canada only). Our flat rate shipping fee is only $12.50! A rural delivery surcharge is applied to remote addresses, due to the higher costs of delivering to rural areas and applies in every case for Nunavut, NWT, and the Yukon. 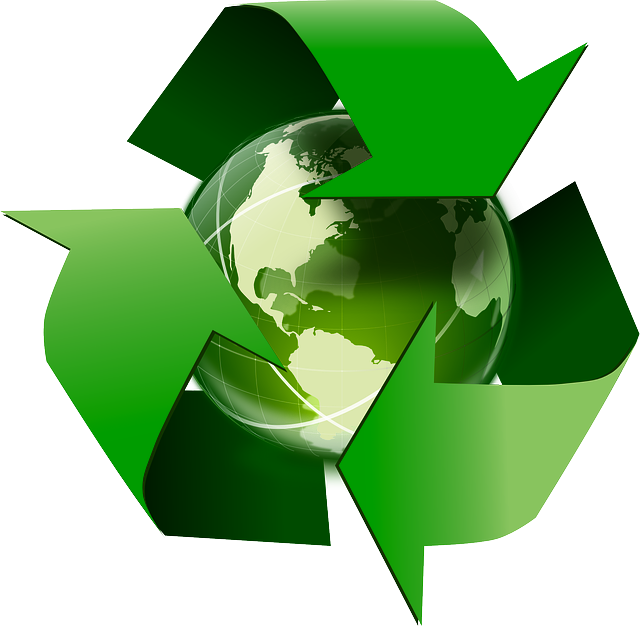 We strive to ship every order out of the door within 4 – 6 days of receiving it. If we have a big rush order, it can take a bit longer. Please keep in mind that each piece of art is a custom product that needs to be created from scratch. 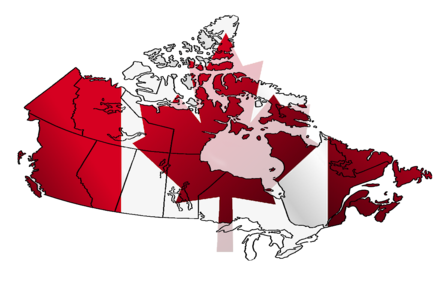 Delivery time varies depending on your location in Canada. 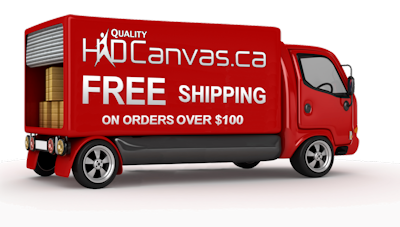 HDCanvas.ca is located in Ontario, so your shipping time will increase the further you are from our location. For remote locations in any province, up to 10 additional days may be required. You will receive an e-mail with a tracking code when your package is shipped so that you can track your shipment online.